601 New Jersey features Class-A office and retail space. 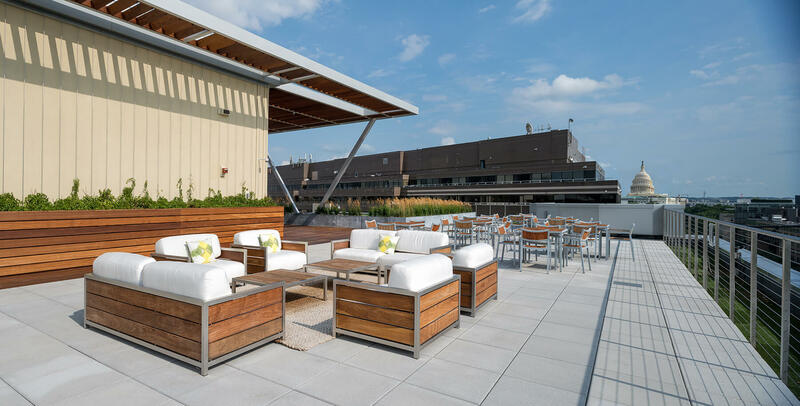 The expansive rooftop terrace provides breathtaking views of the Capitol and virtually column-free floor plates provide tenants with many ways to enjoy the surrounding scenery. To view the available space, click here. To view available spec suites click here, or take a virtual tour. For more information on retail availabilities, click here.